Short story. How I got my first job and lost my best friend. – Go ask Alisa – DIY capsule wardrobe one stitch at a time! Short story. How I got my first job and lost my best friend. How predictable is it to think that right after high school world will knee in front of you? Well, I should say, fairly predictable. Driven by the anxiety of unknown and pushed by the society we are all thriving for success, hoping to live our dreams. I was different. Just turned 16, oddly enough I had no illusions about life. I was ready to roll up my sleeves and get dirty. You could not touch it nor you could feel it, but there was something unmistakably distinct about me. I didn’t know what to expect from this life, so I expected nothing. My choice was to work hard and make my life happen: better, faster and more successful than others. After all I had nothing to lose; I lived with my folks, I had food to eat and future plans set up. I was destined by parental choice: military or science. Neither appealed to me, so I decided to fight back whatever future will bring. After all, dreams I had were so obscure, weirder then any painting of surrealism. I had my life kneeling in front of me, and I also had a friend. My best friend. Kristina was a funny girl, only a year older than me, same school, same class. We got along perfectly well: Friday movie nights, Saturday morning train rides to the sea-side, we even fancied same boys. In other words: we were teens. Her family was pretty conservative if not to say more, my background was similar so her mom really enjoyed having me around. I was probably the only one who was referred as a “favorite” by her mom and as a conclusion it determined my status of BFF. Kristina, she was a popular girl in school, me – not so much. I was “popular” for teachers: always immaculate and determined, stubborn, always mulling over projects, you could not fish for a better student. And… as a plus to everything described above I still wore what my mom bought me. Don’t get me wrong: my mom had a great taste and sense of fashion for herself, but not for a teenage daughter. Now, in my twenties I can play closet swap game with my mom, though back then it was more than awkward. Kristina knew that and she accepted that. Won’t lie, it sure made me feel special: it made me stand taller and be a bit more courageous . Sometimes I would think if maybe she was ashamed of me. Yes, it did cross my mind quite often and more than anything I wanted to leave those thoughts behind. My way of doing that was to offer her something that would place us in the same box, or… outside the box. Back then I believed that she was the one who was “out laws”, only later I came to realization that I was the geek and she was the one who desperately wanted to be alike. I wanted to offer her, to gift her with an adventure! Something that would blow her mind away, this time I wanted to stand out for real and I had a perfect idea: I offered her a job. Well, it was more an offer of trying to get a job, but still it was a fantastic thought – that’s how I saw it. I knew the perfect spot, interview was set up and no special requirements needed: it was a restaurant job. Many of you will think it is such a cliché and you might put my story aside, but I promise you – it gets interesting! So, on Saturday of the following week we skipped the train ride to the sea and got on the bus to the city center. Restaurant was massive, like a lighthouse in this concrete jungle and we spotted it right away without any troubles. If to be honest I was not nervous at all, but my fingers kept sliding across the rough surface of a matchbox that was oddly found in my jacket. For some reason we did not speak much that morning. I think each one of us had their own thoughts, anticipation was growing and I could feel pressuring silence of hesitation. Both of us hoped and both of us also knew that we might as well not get the job. The row between us started to grow right there, right that very second. At the interview, while fighting for the job “both of us” stopped existing. Now there was Alisa, period, and Kristina, period. What should I say? It went well and smooth, interview was pleasant, after which we passed a couple of tests, language knowledge and were asked to await for the call-back. I felt like a legend, all this felt like a beautiful tale. It was a journey, the first one, the real one. My desperation of trying to make Kristina feel special was granted with a success. Next week, on Tuesday we received a call-back from the restaurant: they asked us to come in exactly a week from now. But Tuesday’s were our pizza nights: we would go to this small, local pizza place and hang put for couple of hours until our tummies were stuffed with deliciousness and laughter. Tuesday came and we had no idea what is about to happen. And even if I knew – would it have changed my decision? Well, I was not the one who was calling the shots, sometimes your decisions are made for you. That is such a good read. I like your story and its sad how you lost your best friend. Specially in the age you were, first few months would have been difficult, I guess ?? More then that – I was calling her and tried to contact her but there was a brick wall. I really did value my friend, but I also valued the opportunity of a first job. I never thought that me getting that job would set us so far apart. Life is difficult. A bittersweet tale made all the more so by the fact it is true. Your tale reminded me about the high school friend I lost touch with. Time heals all wounds, so they say. Thanks for sharing this. Tessa, no doubt – time helps. Now, almost 8 years later I remember about this as a lesson of life. Friends would stay friends no matter what, and it might have been my fault that we did not. Thank you for stopping by! Life. Full of twists and turns, of gains and losses. Nicely portrayed. Thank you for the feedback, I value that! 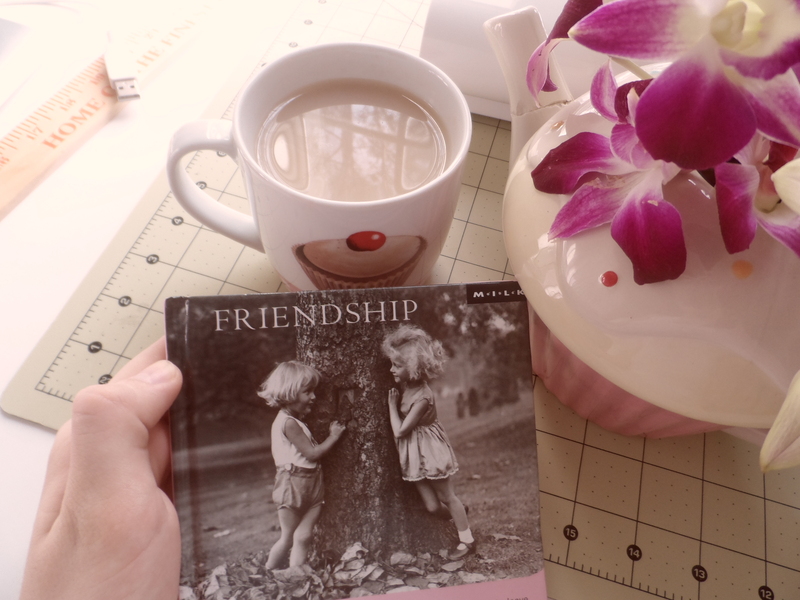 The sadness of losing a friendship when you make a choice that’s right for you – I can relate! Sad when friendship turns competitive over a job, even worse over a boyfriend! !